Do you practice self care, have a chronic illness or mental health problems? Or do you know someone who does? 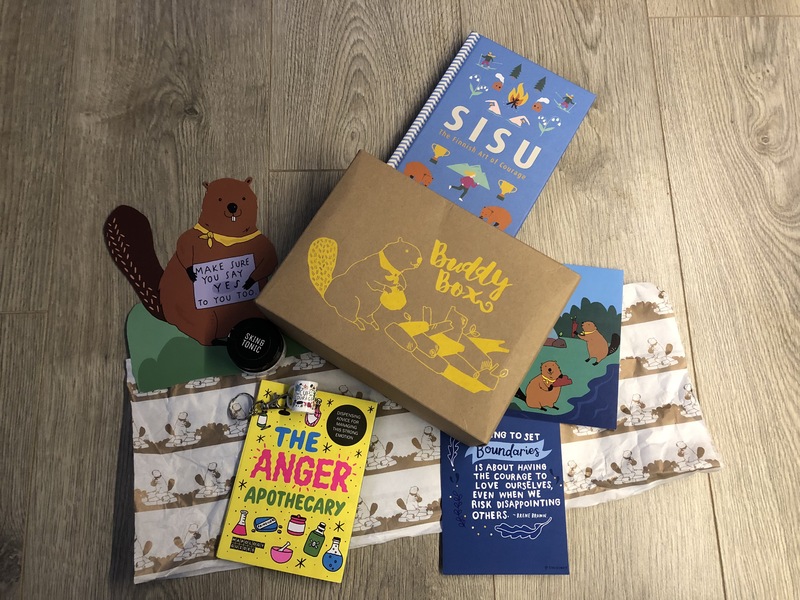 In that case you need to get this monthly subscription box run by The Blurt It Out Foundation and their monthly buddy boxes are for everyone! We could all do with a little extra TLC every month. A buddy box is described as a hug in a box. For me it automatically puts a smile on my face as soon as I see it. The best bit about a buddy box is it comes with 5 full size products and they can be the most random things ever. Some that you wouldn’t really think about and relate to the subject but in fact they do. 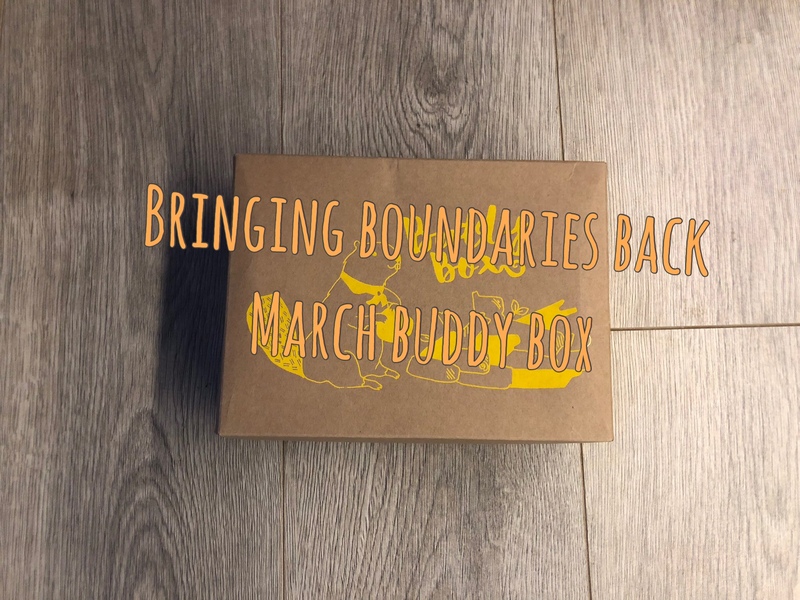 This month’s boxes is dealing with boundaries, we all have them moments when we push ourselves to far or someone winds you up to push you over your boundaries. Anything can actually if you think about it. We all need to learn more about whats too far and what is ok in our lives and learn to still to our boundaries. What is one thing you can think of now that pushes you over your boundaries? I love how the box is presented, the plain cardboard box and the printed bold colour for the title and the image. 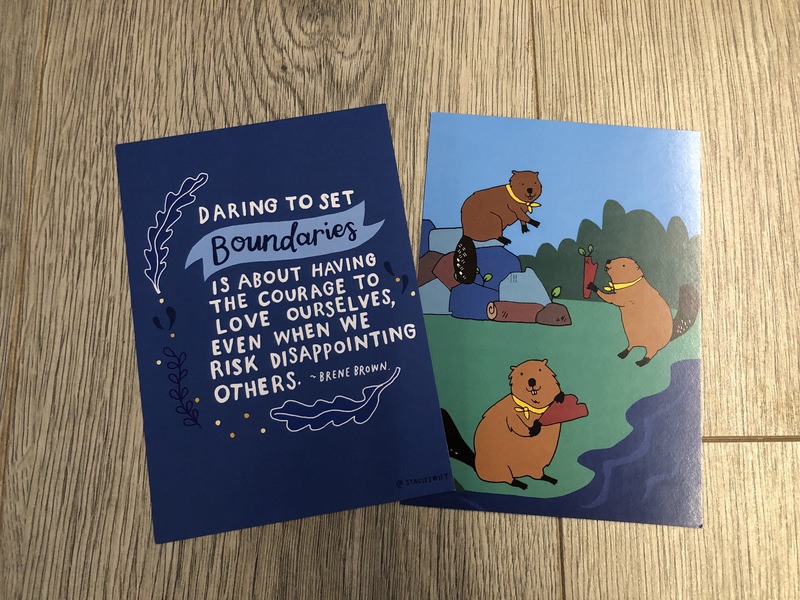 Every box has a theme like I have mentioned before and this one Bringing Back Boundaries animal theme is a beaver. I love how the tissue paper wrapping all the goodies in matches the theme as well. Its like beavers are playing in the mud on the tissue paper. The first product I pulled out was something that I actually love. I have used calm balm in the past when I was a little anxious or unsure of a situation I was about to walk in to. This calm balm smells amazing with the floral scents along with the seed oils. Even though in size the pot is small. It actually lasts a good while because all you need to do is rub a bit on your temples and your good to go into that difficult situation. I must have used mine daily for a good 3 months and now I am in a good mind-set where I don’t need it, but I do always carry it round just incase I feel I need some. 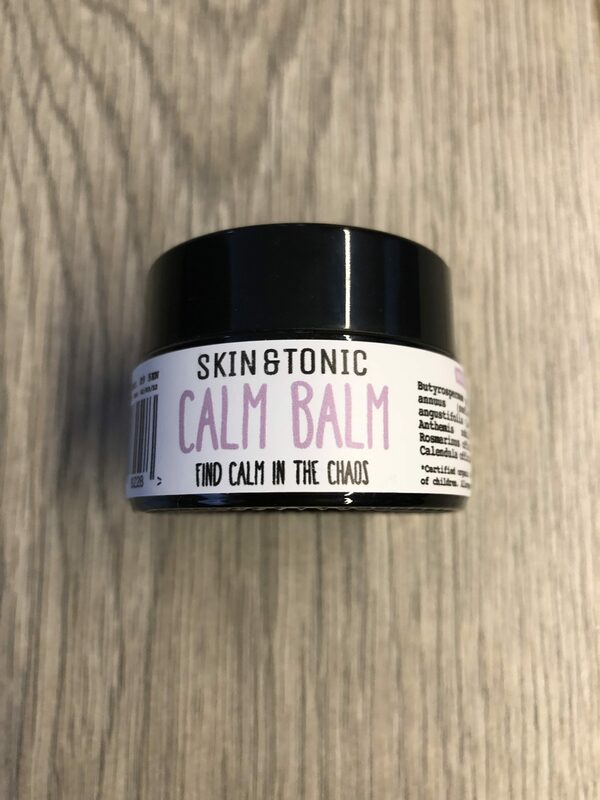 If you are nervous for a certain thing or you feel unsure on a situation then calm balm is definitely for you. 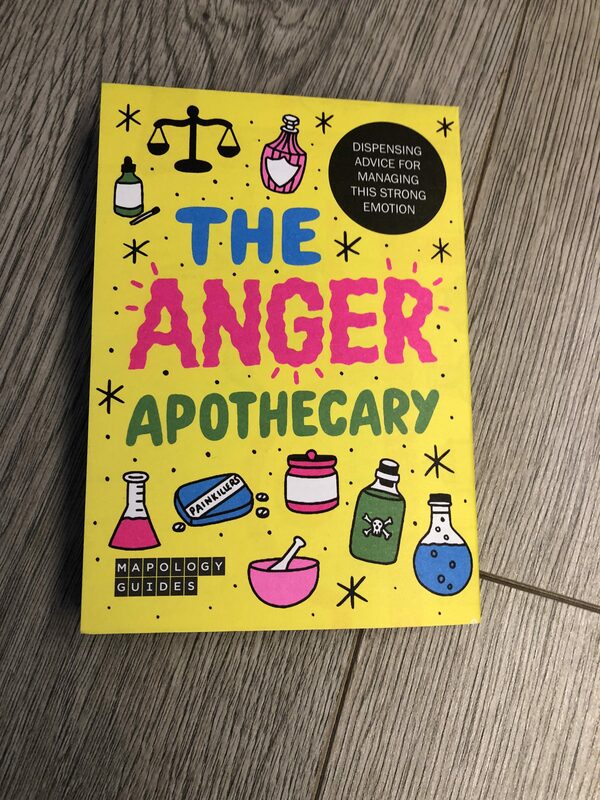 School exams this summer another good excuse to buy the calm balm. Not only that it seems to help, it did me anyway. Every box comes with 2 postcards. 1 being the image of the box and subject of the box and the other with a good quote about the subject of the box and this one being boundaries. If you do set them boundaries sticking to them is allowing you to achieve something for yourself but not include others. We should always put ourselves first. The other postcard has the beavers on the front and the price list on the back. Because The Blurt It Out Foundation sell these products individually whilst the box is running. Or should for the majority of products anyway. Now how this is a book mark I do not know! You would have to read big books to have this as a book mark that’s for sure! Its bigger than the postcards. 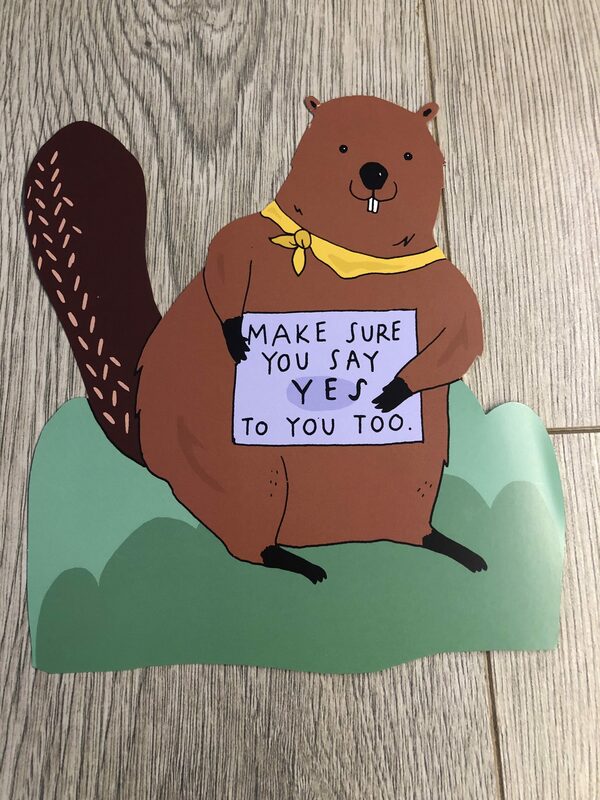 The poster the beaver is holding up though is correct. You time is the most important thing. Listening to your body and allowing that time for yourself is something you’ll learn so much from. I have learnt from self care and endometriosis what my body favours and dislikes. I always take that on board and make my body happy. Well most the time anyway. 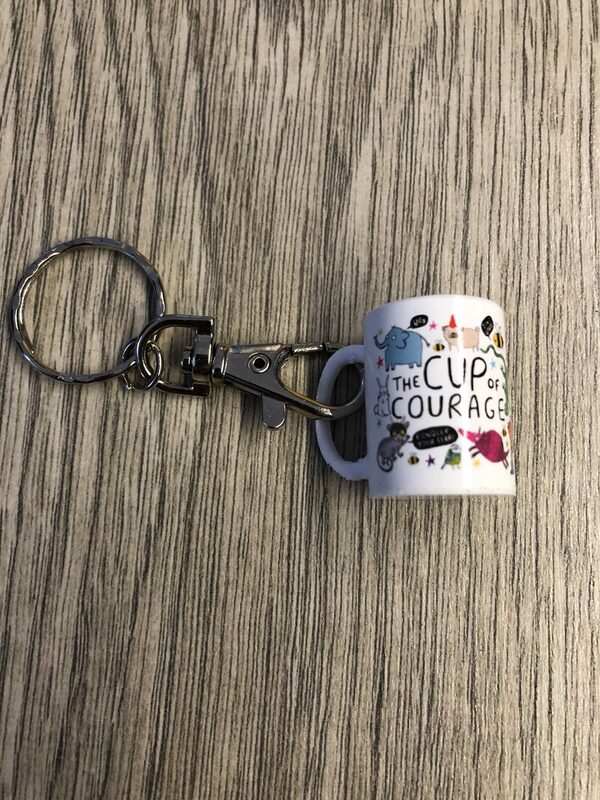 This cup of courage key ring is the cutest thing ever. When you need that little bit of extra support or the push to do something this is something you can take. I can hide this in my hand and no body would even know I had it with me. I am a really bad public speaker and I remember doing my GCSE English oral with the lights off and me facing the wall. Having this to hold would really have helped. Even now in meetings when I feel a little awkward or trying to distract myself from my turn to talk I play with my rings. It’s just a natural thing for me to distract my thoughts. Carrying this can allow me to not play with my rings. 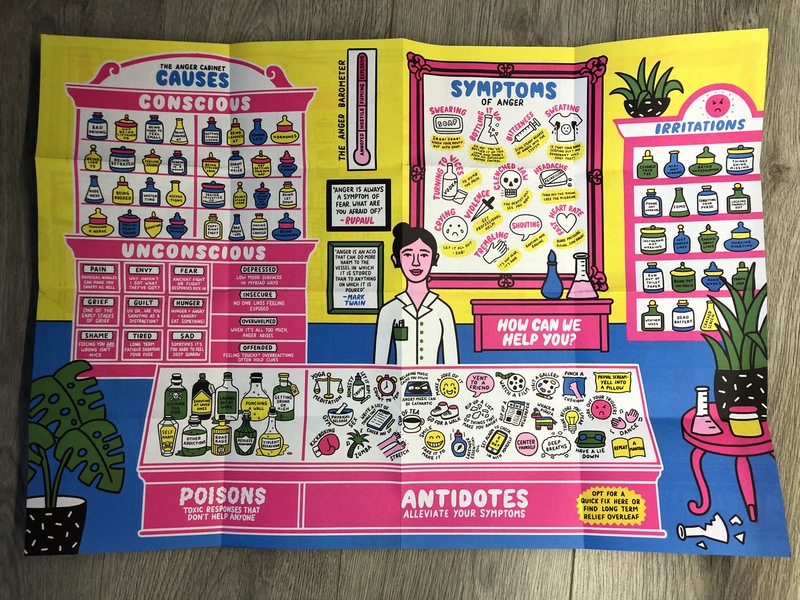 These posters or in their words as an apothecary. These are the strangest, yet brings the home truths to the reality. Everybody has times when they get angry or something makes them angry. Are you one to just walk away or enter the anger some more? The best is to walk away but sometime you really can’t do that. This goes through everything and situations and really just brings you back to reality. Its bright, bold and fun to bring you the home truth but I would aim this as more of something on a teens wall. Its fun to read though I must admit. 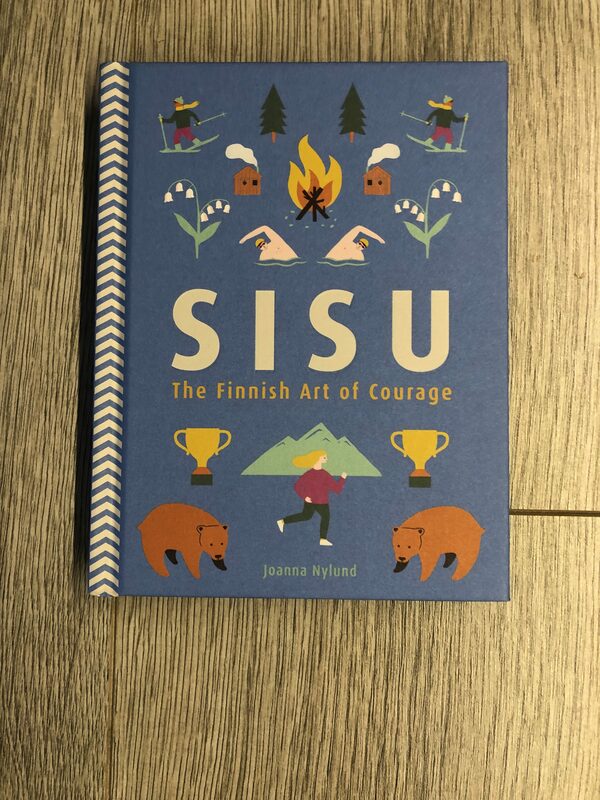 Sisu (see-so) is a book on the finish art of courage. This is similar to the Hygge book and I love this. It has so much good information and ways to learn courage. It’s really helpful and somethings are random in it too. Like branch ice-cream but yes. It maybe nice you never know! I can’t wait to read this book some more. Every box has the zine magazine. 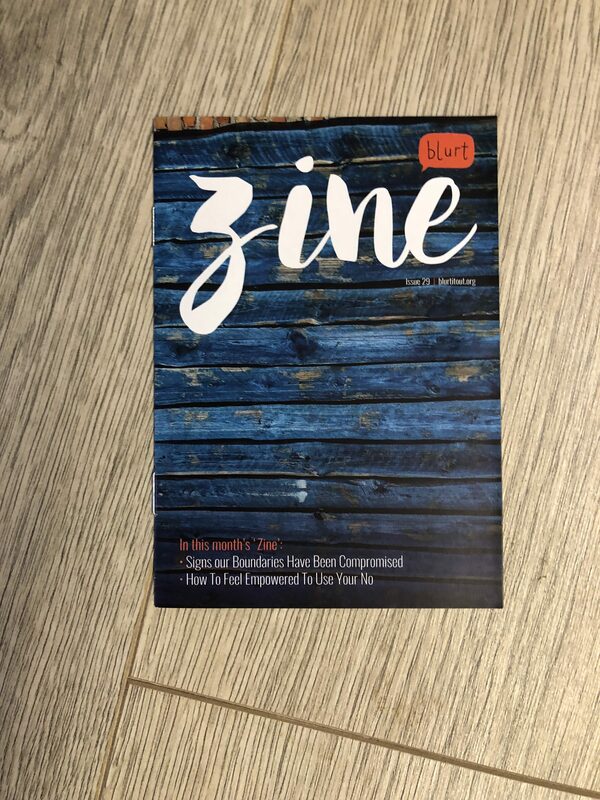 Its a short 3 double paged magazine that just runs through a bit about the meaning of the theme of the box but in real life. It’s worth a read especially if you really need help with the theme in real life. That is it for March’s box. What is your favourite thing from the box? Would you buy this for yourself or for a loved one who needs cheering up? This is adorable! I love how approachable it is and the products are so cute. Definitely want to get my hands on some calm balm. Boundaries and Self-Care are so important! Monthly boxes are so fun and these Buddy Boxes look great! Thanks for sharing! !